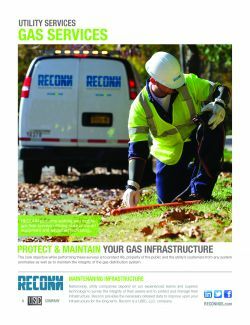 Protect and maintain your infrastructure with Reconn's Gas, Electric, Vac Ex and Specialty solutions. 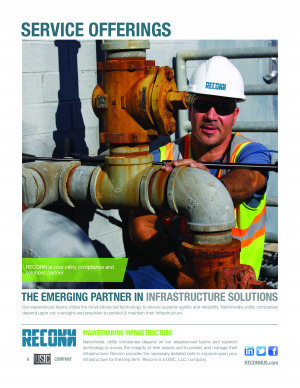 Download Our Brochure Want to know more about our Utility Service solutions? Click to view. 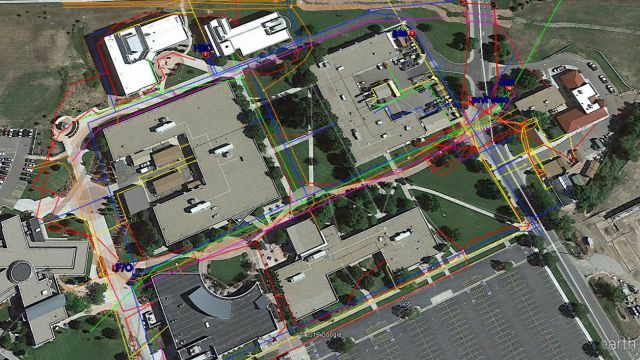 RECONN performs walking and mobile gas leak surveys utilizing state of the art equipment and advanced technology. The core objective while performing these surveys is to protect life, property of the public and the utility’s customers from any system anomalies while maintaining the integrity of the gas distribution system. Gas Services Brochure Want to know more about our Gas Service solutions? Click to view. Our field technicians are specially trained to test all necessary structures to be in full compliance with the regulatory orders. 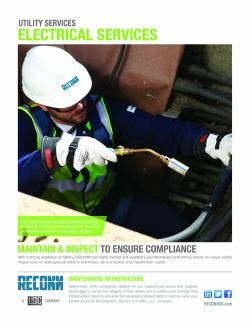 With a strong emphasis on Safety, RECONN has highly trained and qualified Lead Mechanics performing hands on visual safety inspections of underground electric manholes, service boxes and transformer vaults. Electrical Services Brochure Want to know more about our Electrical Service solutions? Click to view. 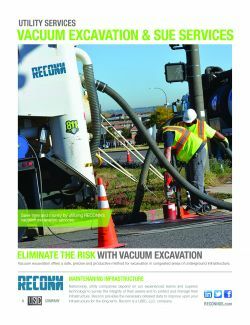 Save time and money by utilizing RECONN’s Vacuum Excavation services. Vacuum excavation offers a safe, precise and productive method for excavation in congested areas of underground infrastructure. It is a much safer and efficient alternative to digging by hand or with a mechanical excavator backhoe. Vac Ex & SUE Services Brochure Want to know more about our Vac Ex Service solutions? Click to view. 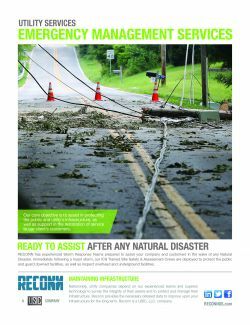 RECONN has experienced Storm Response Teams prepared to assist your company and customers in the wake of any Natural Disaster. 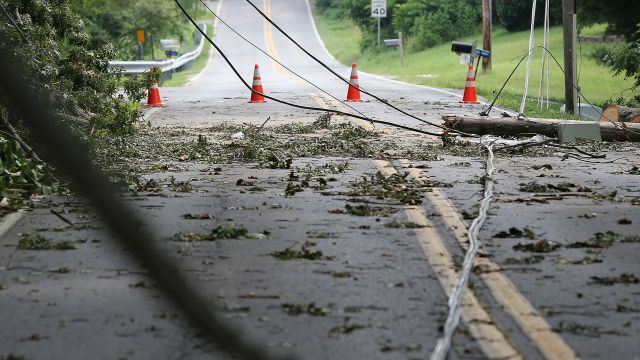 Immediately following a major storm, our ICS Trained Site Safety & Assessment Crews are deployed to protect the public and guard downed facilities, as well as inspect overhead and underground facilities. Emergency Support Brochure Want to know more about our Emergency Management solutions? Click to view. 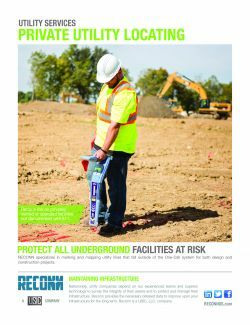 RECONN specializes in locating, marking, and mapping utility lines that are not covered by the 811 Call Before You Dig Process; for both design and excavation projects. A private locate is necessary when utility lines (most likely services) are owned by a private owner. Our technicians utilized the latest technology to locate and identify private underground utilities within an excavation area. Private Utility Locating Brochure Want to know more about our Private Utility Locating solutions? Click to view. Reconn ensures the efficiency of safety, quality and customer satisfaction with our Field Data Collection software.